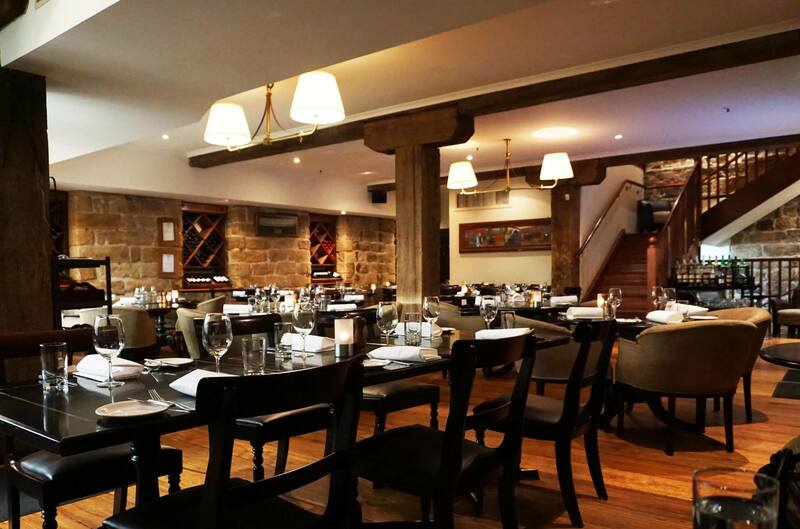 It had been a while since we visited any sort of steakhouse so Mr C did some googling for a one close to our work area and decided to check out Kingsleys Australian Steakhouse. We had a booking at 6pm and were surprised we were the first customers since it was right after work hours but gradually there were more customers streaming in and the restaurant was bustling by around 7pm. Cooked to our favourite medium rare as usual which was a relief, I was worried they would overcook because our experience with striploin has been a bit hit and miss. Luckily for us the steak was cooked perfectly tender and of course tasted very flavoursome. The chips were very crunchy and delicious and the mushroom sauce (not pictured) was very creamy and tasty, the bearnaise sauce was awesome as usual! 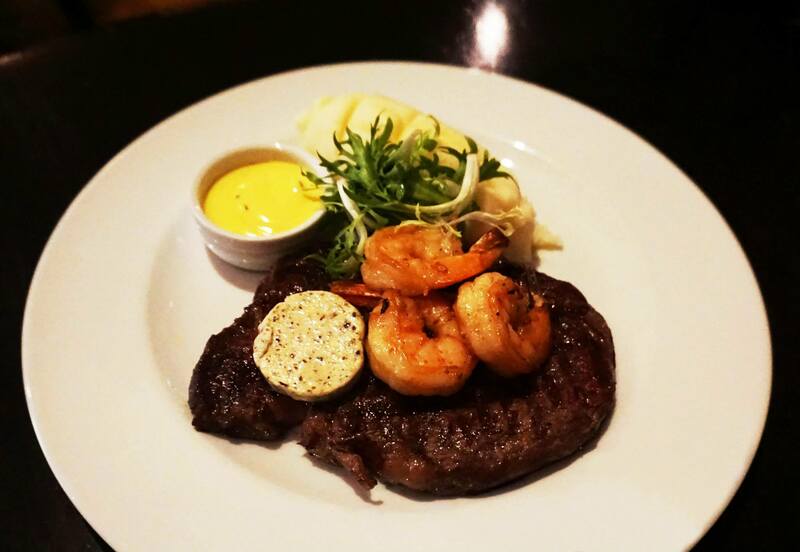 I decided to be a little cheeky and order the prawns with my rib-eye and also got a little bit of truffle butter because why not? 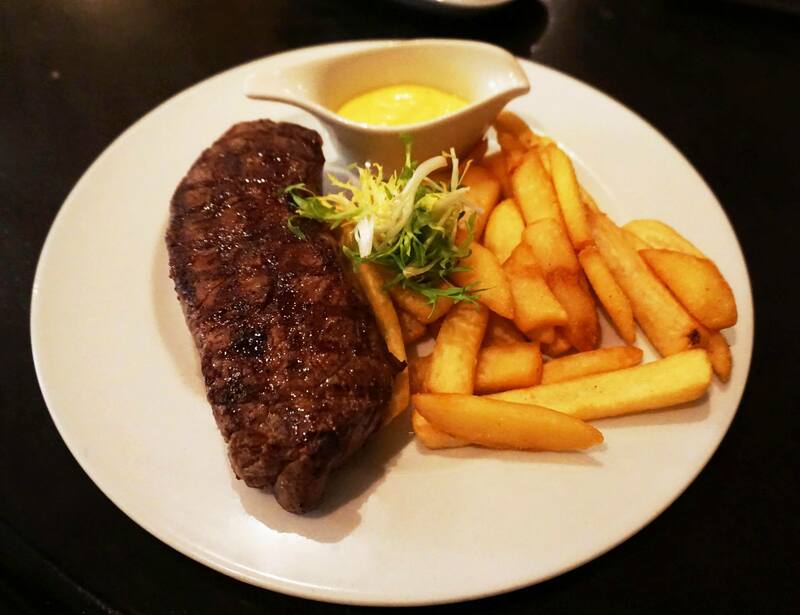 I didn’t expect the butter to be such a huge serving and also was also surprised it came with some bearnaise sauce. This cut was also cooked medium rare and is amazingly delicious especially with the sauces. Truffle & bearnaise = perfection, I learn something new that night. The prawns were quite ordinary however they had a little chargrilled flavour which was nice. The restaurant was great but also relatively pricey, it seems to be geared more towards corporate customers as the prices are quite high and most patrons were suits. Great for a steak but a little bit too expensive for us to justify a second visit despite the decent food and service! Deliciously healthy food and lovely pictures! 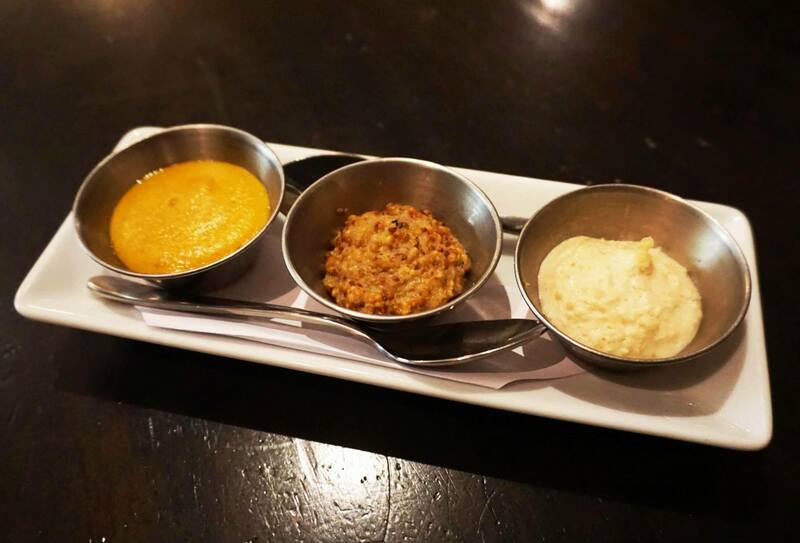 Is the mustard in the middle just seeded/wholegrain mustard? It’s a shame there aren’t more ‘American’ steakhouses in Sydney, every decent steak place is pricey like this, e.g. Rockpool Bar and Grill, Kingsleys. If you go cheap you end up at Outback Jacks but even then you pay $30 for a steak. Doesn’t make sense to me. I do believe it might be wholegrain mustard actually! It’s been ages I haven’t been back to a steakhouse!! My take on the unknown mustard is that is might be grain mustard (moutarde à l’ancienne)? To avoid any overcooking issues I ask my meat blue.., sadly the hubby doesn’t like the sight of blood! It could be that, had a very nice taste actually.